The WPT camera are on the action as another player is eliminated. 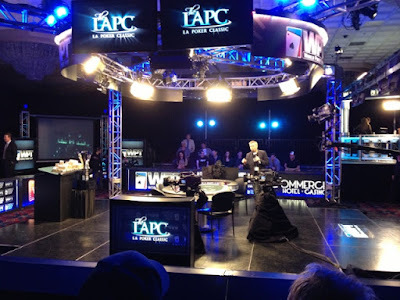 The L.A. 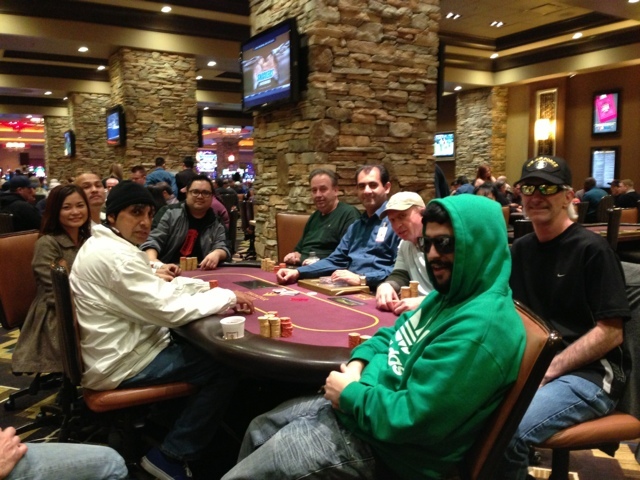 Poker Classic is down to 15 players. The prize pool is over 4 million. 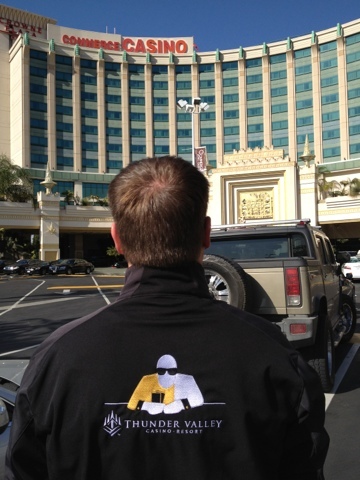 Ben Erwin will be at Commerce Casino taking in the sights of the L.A. 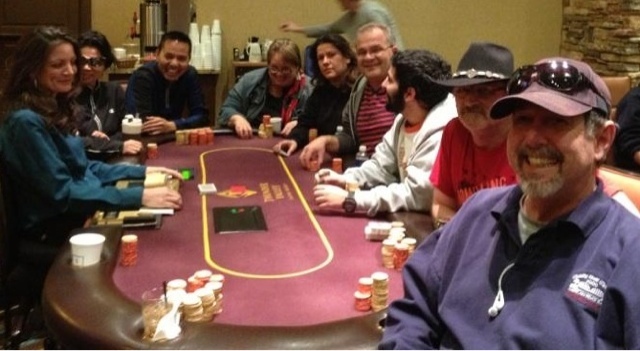 Poker Classic. 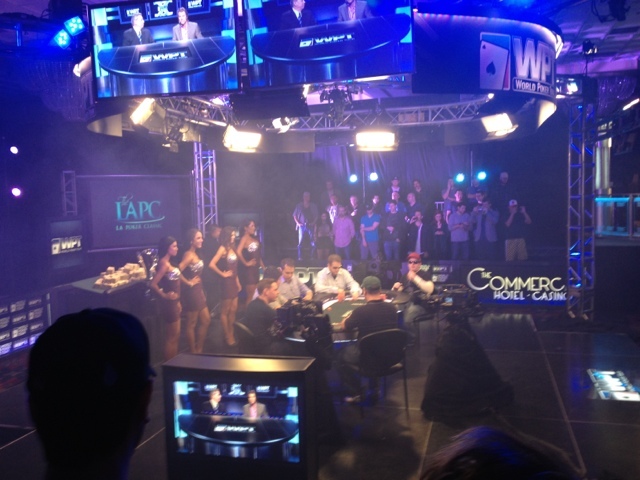 This is one the biggest evets on the WPT schedule. Look for updates!! Join us Tuesday for the On The Clock 4 of a Kind Bonus. Bonus Time will be extended from 8:00am-11:59am and 8:00pm-11:59pm. 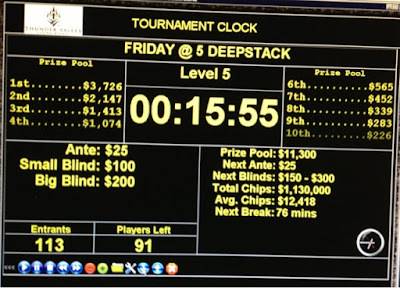 Registration is open for the Friday Night Deep Stack. 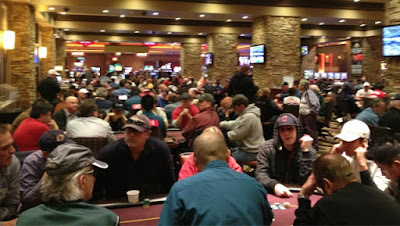 The event is averaging 125 to 150 player. Another packed house for our holiday tournament. 258 players with a $25,800 prize pool. *We are expecting the over 200 entrants for this tournament. We recommend coming in TODAY and signing up for a chance to win a part of our 10K guaranteed prize pool. 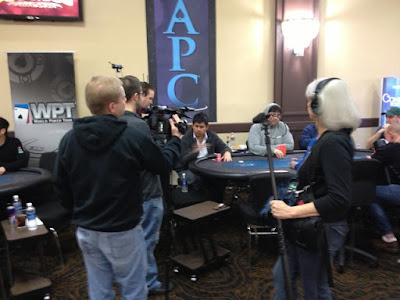 The Up The Ante play and get jackets are now available. 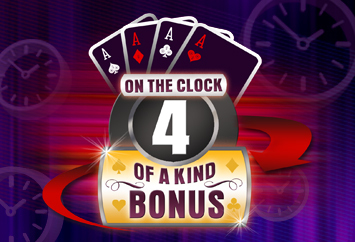 Join us for our On The Clock Four Of A Kind Bonus promotions on February 12, 19, and 26 and enjoy extended bonus times. The 8 AM bonus period will be extended until 11:59AM and the 8PM bonus period will be extended until 11:59PM on these dates. Players be sure to follow us @TVPOKERROOM on Twitter and like us on Facebook for special events and promotional information. 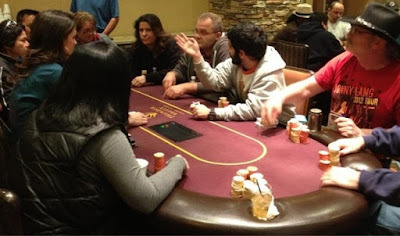 Friday @ 5 final table in action. 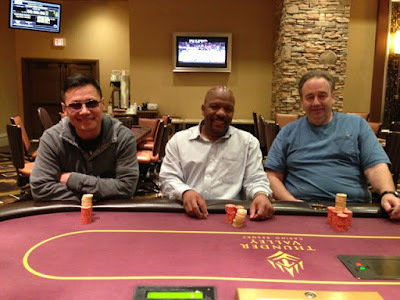 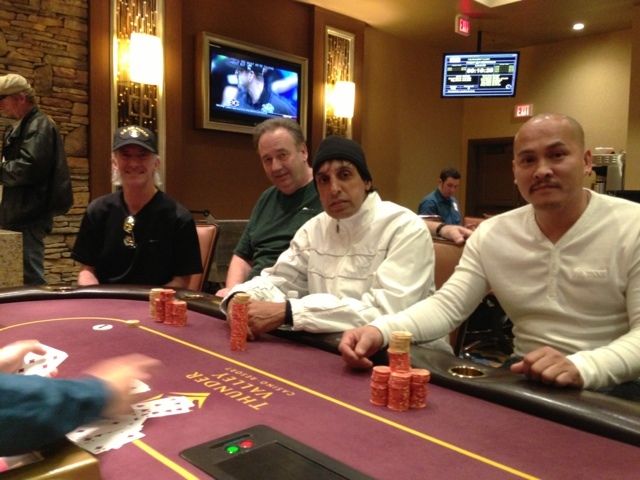 Today brought 142 players out for our $125 Buy-in Friday @ 5 Deepstack Tournament. 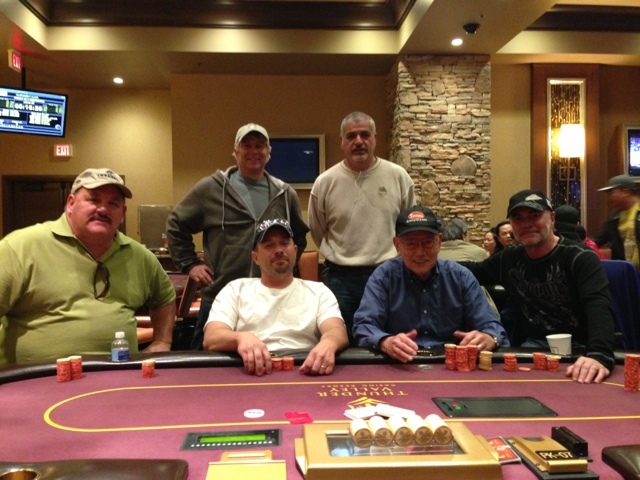 The prize pool was $14,200 with first place worth $4,399. 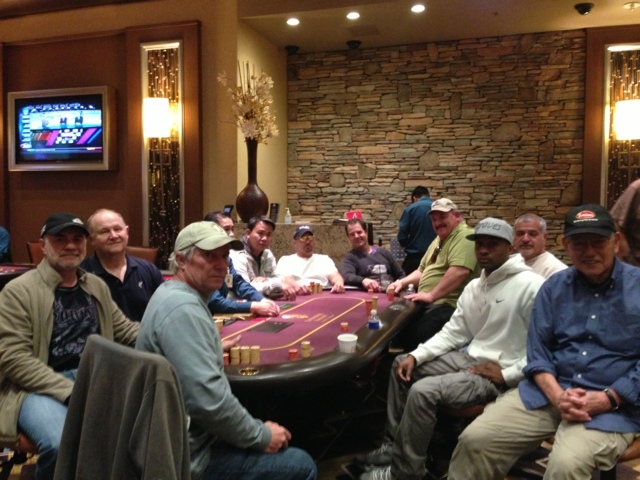 Come on down before the big game and participate in the $3,000 Guaranteed Sunday Tournament. 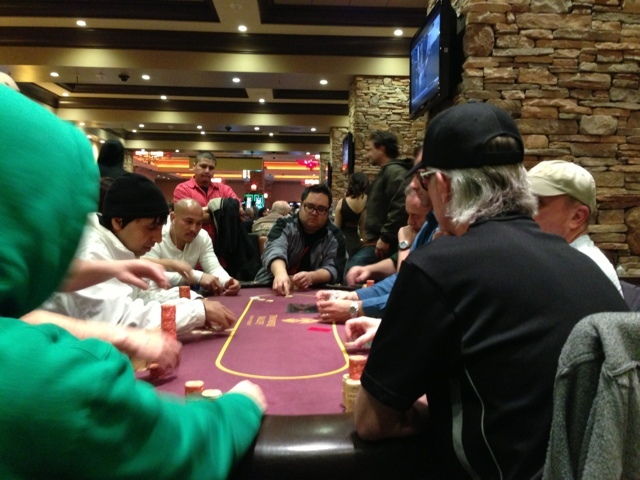 Tournament starts at 11:00AM with re-entry until 11:50AM. The field for the first Saturday $30,000 Guaranteed Tournament has been set. 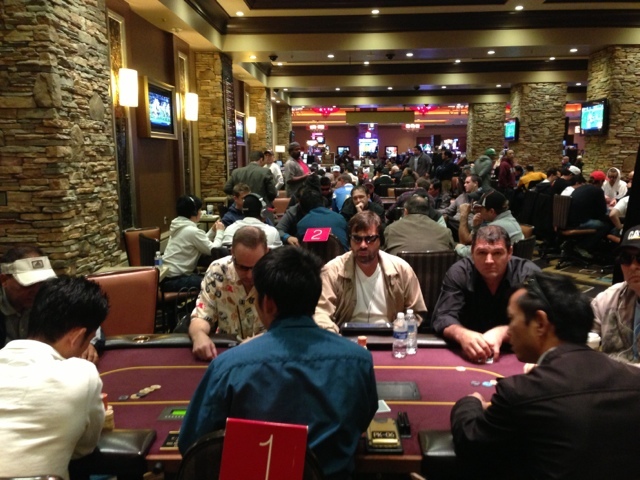 206 players will vie for their share of $53,972 with first place worth $15,109. 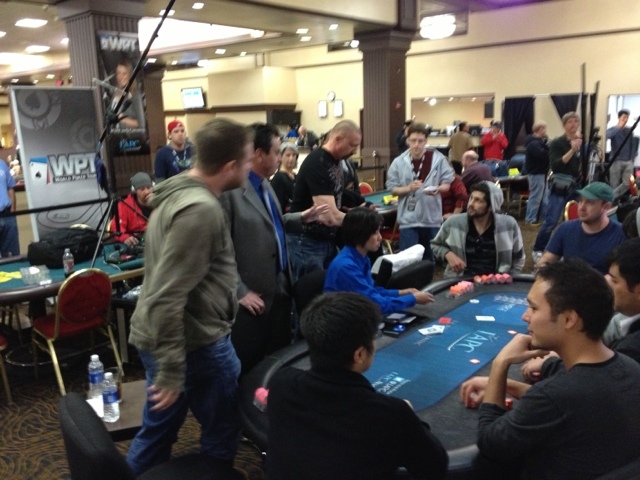 There is still time to make it down for our first Saturday $30,000 Guaranteed tournament today at 11:00AM. 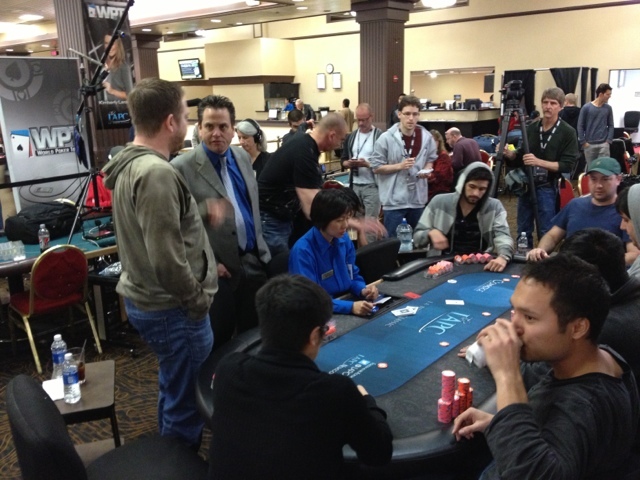 Buy-in is $300 with 10,000 in chips to start, hurry seats are going fast! 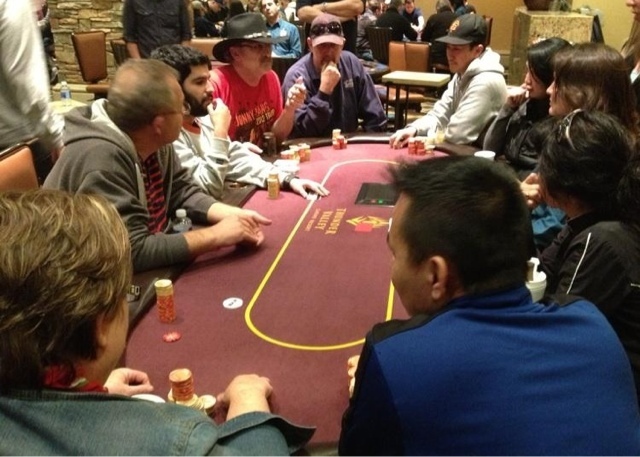 Join us tomorrow for our first Saturday $30,000 Guaranteed tournament. Buy-in is $300 with 10,000 in chips to start and 30 minute blind levels. 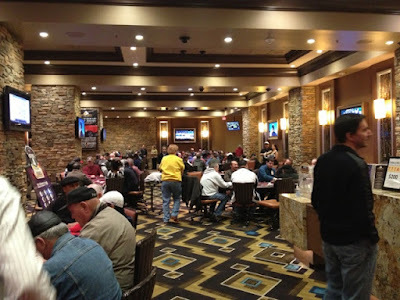 A $60 Mega Satellite is being held for this event today at 5:00PM. We will be holding our first Saturday Mega Satellite tonight at 5:00PM. 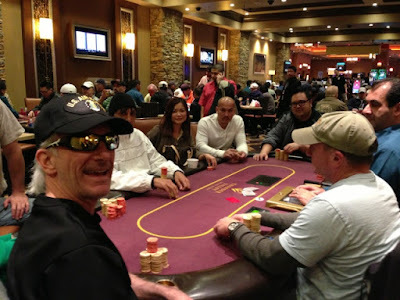 Buy-in $60 with 4,000 chips to start. Every 6 entries generates a $300 seat. 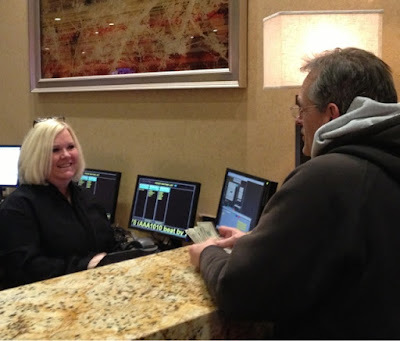 Registration opens at 3:00PM.